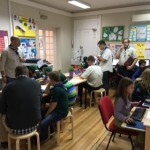 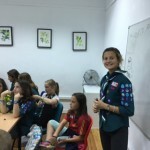 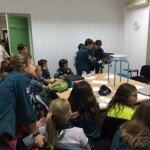 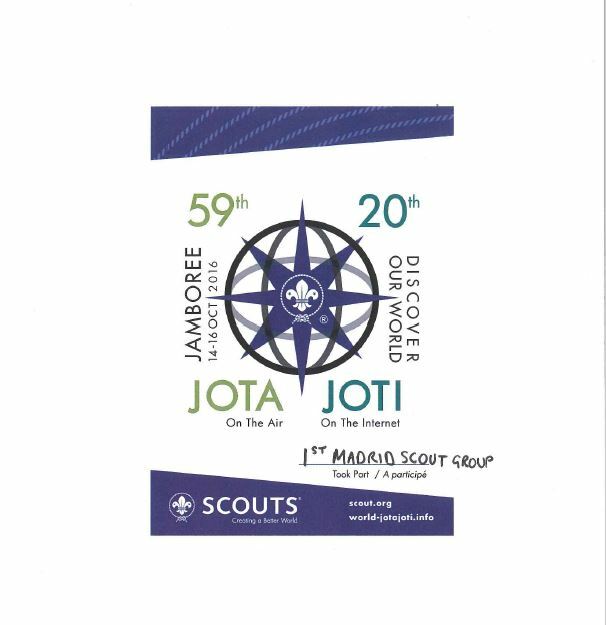 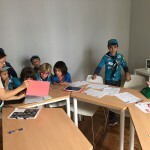 This month the whole of 1st Madrid troop took part in JOTI, which was the Jamboree over the Internet, where we connected with other Scouts from all over the world. 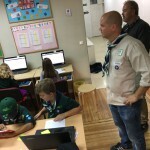 Our Scouts used various means of online communication to talk to Scouts all over the world. 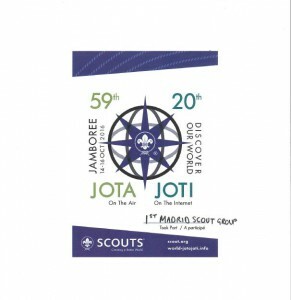 Each participating troop was given a JID – Jamboree ID number. 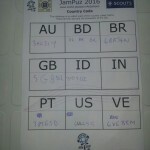 During our conversations with Scouts across the globe each troop swapped JIDs in the hope to complete the Jampuz challenge. 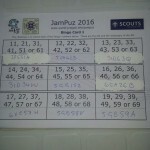 The Jampuz challenge consisted in filling in several log sheets that broke down the JIDs by geographical location and size; each JID also contained a random bingo number. 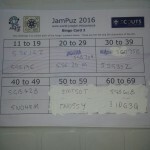 The bingo numbers were added to two Bingo Cards that had been distributed among all participating troops. 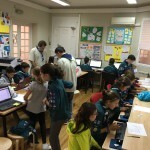 Our troop was incredibly successful considering the fact that we were only online for three hours out of the whole 72 hour event. 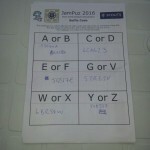 We completed both Bingo Cards and the Suffix Code sheet. 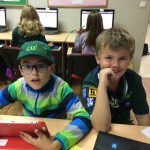 We were only missing one Country Code and two Region Codes. 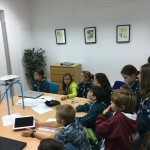 Over the space of three hours we managed to speak to Scouts from 29 different countries in three languages using an online chat service and Skype. 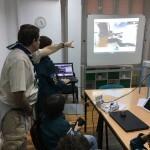 After chatting with other Scouts from all over the world using their writing skills via the JOTI platform, the Scouts section hooked up with international groups on Skype for live conversation. 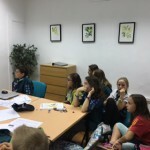 Later on, we went on a virtual world adventure playing ‘GeoGuessr’ – guessing the randomly generated images from around the world with surprising accuracy. 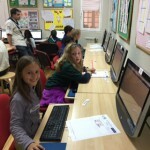 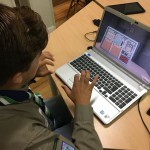 Then the section split into two groups – one group having an explosive time playing, ‘Keep talking and nothing explodes’ on Scoutlink, while the other continued exploring ‘GeoGuessr’ or used their technical know-how to connect to on-line, multiplayer ‘Minecraft’ servers. 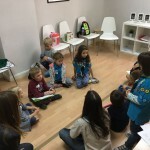 The Beaver Colony divided into two groups for the meeting. 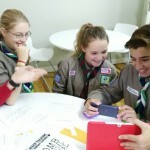 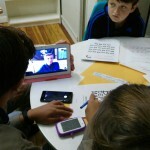 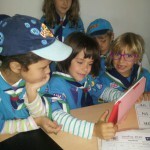 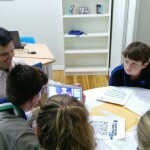 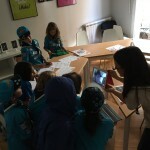 One half of the meeting the Beavers participated in JOTI by making Skype calls via tablets. 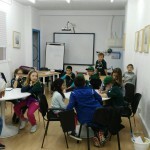 This was a lot of fun! 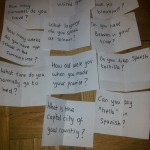 The Beavers asked questions such as “What is the capital city of your country” or “what time do you go to bed”. 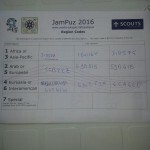 We also collected ID numbers to add to the Jampuz which was an activity done by the whole troop. 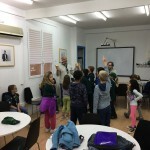 The other half of the meeting the Beavers learnt about the Scouting family to which they belong. 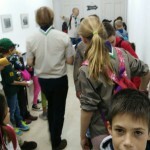 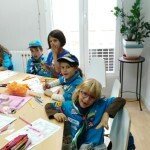 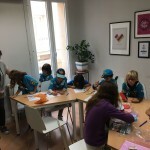 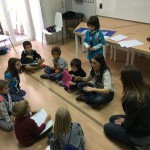 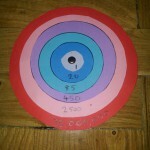 They did a craft activity with concentric circles showing that they are one Beaver Scout in a Colony of 20 children that belongs to a troop (1st Madrid) which has 85 members, that 1st Madrid belongs to the District of France and Iberia which has 450 members and that this District belongs to an Area called British Scouting Overseas which has 2,500 members. 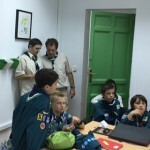 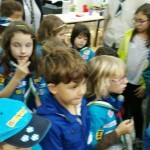 On the whole there are 35,000,000 Scouts in the World!! 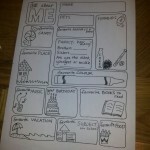 Every Beaver took part in a Personal Challenge which was to learn more about themselves by filling in a questionnaire “About Me”. 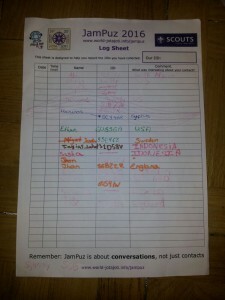 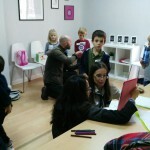 They then held informal interviews so that they could hear what fellow Beavers had to say about themselves. 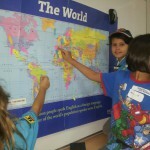 The idea behind this Challenge was to help Beavers know themselves individually before talking to Scouts all over the World about themselves.